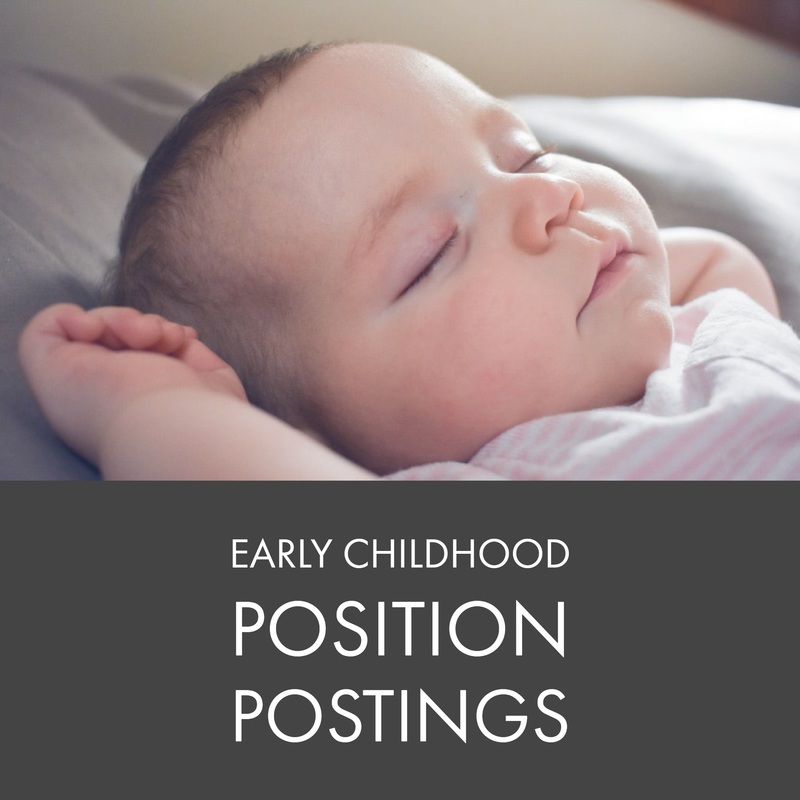 This is a regular posting of local jobs for early childhood professionals. To add a posting, email outreach@fcrnew.org. All employers will be responsible to provide their accurate and up to date listings for each posting. Prospective employees will contact employer directly to learn more about opportunities and will be responsible to make sure the employer is a fit for their career in early childhood. Tell them you where you heard about the positions so we know if this free listing is working. Bright Beginnings Child Care and Learning centers in Green Bay, WI are looking for full time and part time teachers! Our Green Bay location is hiring for various positions (co-lead teachers and float staff). If you are an energetic, flexible and creative person this is the job for you! Teachers are expected to establish lesson plans and a classroom environment in accordance with Young Star and state licensing. We offer on the job training, opportunities to continue education, scholarship opportunities with the T.E.A.C.H. program, childcare discount, vacation/sick and holiday pay, health/vision and dental insurance as well as no holidays and weekends. Pay is based on education and experience. Candidates must have or be willing to take entry level courses for Early Childcare including CPR. We are currently seeking childcare teachers who are fun, loving and energetic team players. The ideal Teacher candidate should have qualifying early childcare classes and good classroom management skills. If you have the for mentioned qualities, we would like to add you to our team of caring professional teachers. Primary job duties consist of working with and learning from the Lead teacher. Whether you are or are not experienced this is an opportunity to further your skills, education and experience. We offer a 5-day work week with no weekends or evenings. We offer competitive wages, Vacation, Holiday pay, PTO, Health insurance, as well as employer matched retirement program that you may enroll in during your first year of employment. If you are an energetic person that enjoys being a positive role model for young minds. Possess organizational and planning skills, and above all passionate about preparing children for their next big adventure. We would like the opportunity to talk with you. Serving the Green Bay area since 2004. Serious candidates only need apply. Forever Young Childcare Center, in Bellevue, Wi, is looking for Childcare Teachers to encourage the healthy intellectual and psychological growth of the children in our facility. You will teach and supervise while also motivate children to use their mental capacities and exercise their imagination. 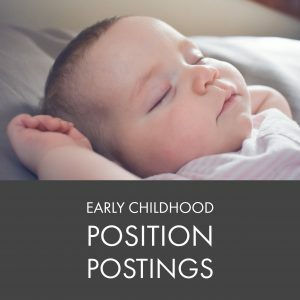 This position is Full Time working with ages 2 and older. Email us right away for even more information! Adhere with teaching standards and safety regulations as established by the Department of Children and Families. Join the team at CP! IT’S WORK THAT MOVES YOU! PEOPLE WHO CHANGE YOU! The primary role of the Child Care Teacher is to plan, organize and implement daily children’s learning activities. The Child Care Teacher is also responsible for creating and maintaining a nurturing, safe environment for children. 1. Provide a nurturing, supportive, an inclusive approach to all children. 2. Plan, organize, and implement individual and group instructional activities for children that aim to develop them socially, emotionally, intellectually, and physically. 3. Responsible for the safety of all children in the center and specifically for the children in your care. 4. Work cooperatively with other staff in a team approach. 5. Communicate with and provide excellent customer service to children and families. 6. Maintain appropriate communication with Director/Asst. Director as to parental, child, or teacher concerns. 7. Provide positive approach and behavior redirection as age appropriate. 8. Share in the responsibility of maintaining a clean and safe environment. 9. Assist children with eating, toileting and assist at nap time. 10. Attend and provide input at staff meetings. 11. Keep records assigned by the Childcare Director. 12. Coordinate supplemental activities in the child care program (i.e. field trips, special events, etc.). 13. Provide direction to substitute staff during all program activities. 14. Assist with training of new child care employees. 15. Attend ongoing in-service and continuing education training. 16. Prepare to assume responsibilities as assigned by the Director / Assistant Director of Child Care. 18. Be willing and able to bring caring to life. 1. High school diploma or equivalent. Be at least 18 years of age. 2. Complete at least 2 non-credit department approved courses in early childhood and education, (ex: Introduction to the Childcare Profession & Skills and Strategies for the Childcare Teacher) or 2 courses for credit in early childhood education or its equivalent from an institution of higher education. 3. Physical ability to lift and transfer children (minimum of 25 pounds) and ability to participate in handling and floor activities with children. 4. Must relate well with children, be flexible, and adaptive to Center’s needs. 5. Ability to maintain regular and reliable attendance. 6. Strong communication and interpersonal skills. 7. Ability to present materials in a positive and enthusiastic manner. 8. Must be willing and able to “bring caring to life”. As the outreach and communications coordinator for Family & Childcare Resources of N.E.W., Nicole loves helping kids and is a kid at heart. Between reading books, you'll find her emailing updates and communicating on behalf of the organization.